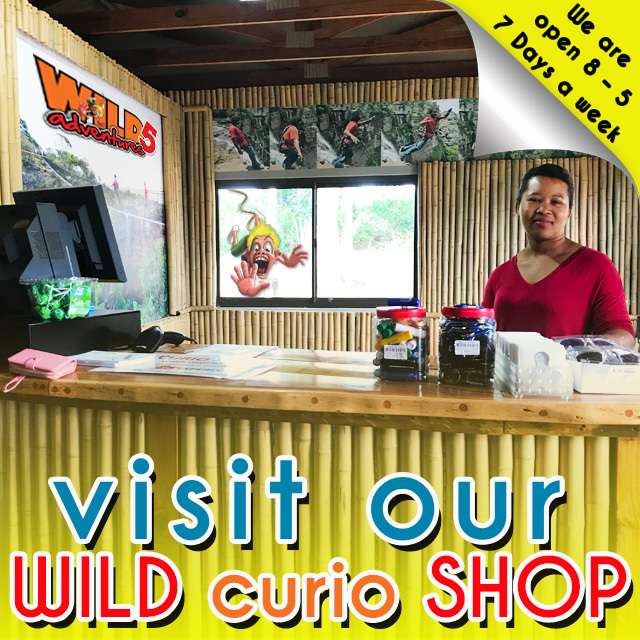 When we say there is something for everyone at Wild 5 Adventures, we are not only talking about our action packed, adrenaline filled activities… But also our newly opened Wild Curio Shop. If you are looking for that something extra to remember your time spent with us, you can rest assured knowing you will find exactly what you are looking for, in our shop! Some of the items we carry include, back-packs, t-shirts, shorts, fidget spinners, mugs, sunglasses and so much more. We also carry delicious ice creams, snacks and other refreshments. Visit our facebook page to see some of the pics now! In this short video you get to see first hand what the epic LED Wild Fidget Spinner looks like in action! This is just one of the MANY merchandise items that are available at our newly opened Wild 5 Adventures curio shop. Don’t forget to pop in and grab some goodies on your next visit. Hit the like and subscribe button for more awesome content! Please note that we are closed on the first Monday of every month for regular maintenance. This entry was posted in Our Wild World and tagged action packed, adranaline filled, adrenalin, adrenaline, amanzimtoti, backpack, bungee jump, curio shop, durban holiday, durban tourism, facebook, fidget spinner, ice cream, margate holiday, mug, outdoor activities, outdoors, port shepstone, refreshments, shopping, snacks, south coast tourism, southbroom, sunglasses, t-shirt, uvongo, video, what to do durban, what to do south coast, what to do southbroom, wild, wild 5, wild curio shop, wild swing, youtube on August 18, 2018 by Wild 5 Adventures. Is there a restaurant at wild 5? Hi there, yes! Right next door to us is the Oribi Gorge Hotel who has a wonderful restaurant and fully licensed bar as well. We hope to see you soon!